Before actually starting covering the Setouchi International Art Festival we had a few free days in Takamatsu. 康代 had decided to use them to get more familiar with some of Kagawa’s traditions, and it was a great opportunity for me to tag along and learn more about them too. 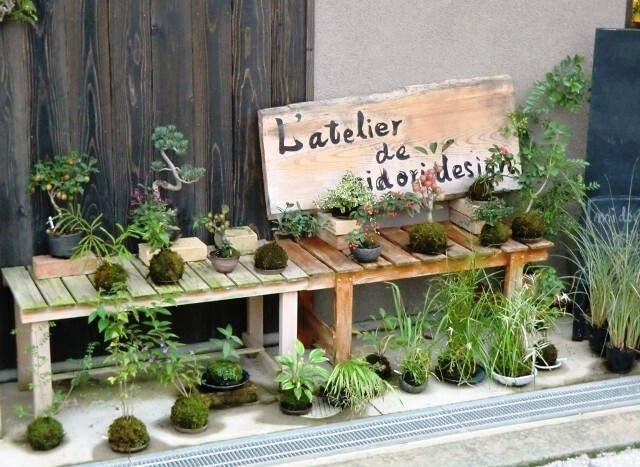 With that goal in mind she had made a few appointments here and there, starting with a small Bonsai workshop and nursery. 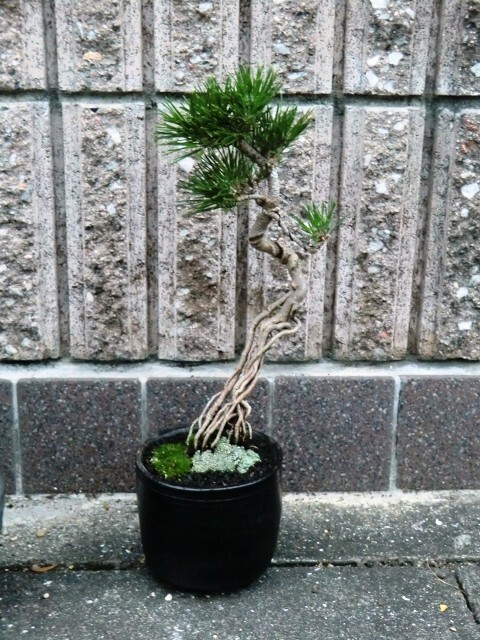 A thing you may not know is that even though Bonsai are popular and grown all over Japan, Kagawa is one of the Prefectures that has the most nurseries, especially pine-tree Bonsai nurseries as 80% of the national production comes from Takamatsu and the vicinity. The thing I didn’t know until a few hours before meeting him is that our teacher was not only French, but also from Toulouse (where I have lived for four years in the 90’s) and that I had already heard a little bit about him in the past. 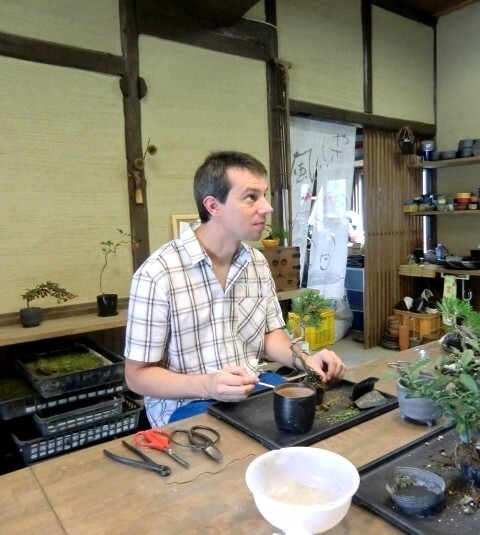 So we went to the small town of Miki, near Takamatsu, to meet with Xavier Brusset who owns a Bonsai workshop and nursery called Midori Design. We spent a very good and fun afternoon with Xavier and his wife Kazuyo. 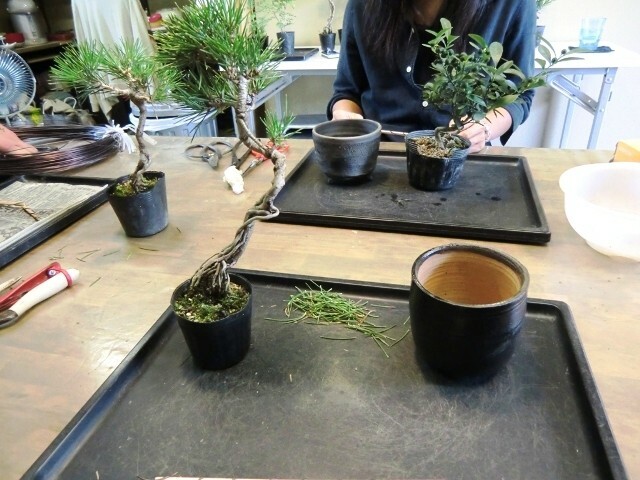 He taught us the basics about making Bonsais, which are much more than just trees in pots. For example, the choice of the pot itself is important. That pot will have a front and a back, as well as the tree which won’t be planted randomly. One needs to chose the overall look, balance the tree visually, aesthetics being the key term here. Of course, one will also wrap the branches with small copper wires, with the goal of shaping them in the desired position. 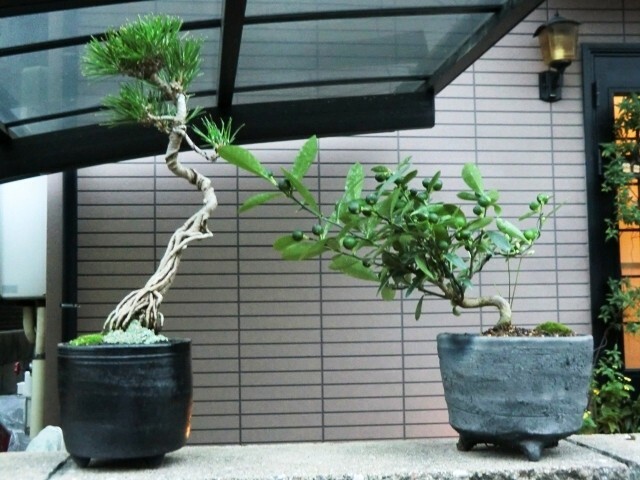 Cutting excess branches and leaves, cleaning what needs to be cleaned, designing the surface of the soil (not just dirt, but also sand, pebbles, moss, you name it) are also important aspects of creating a Bonsai. 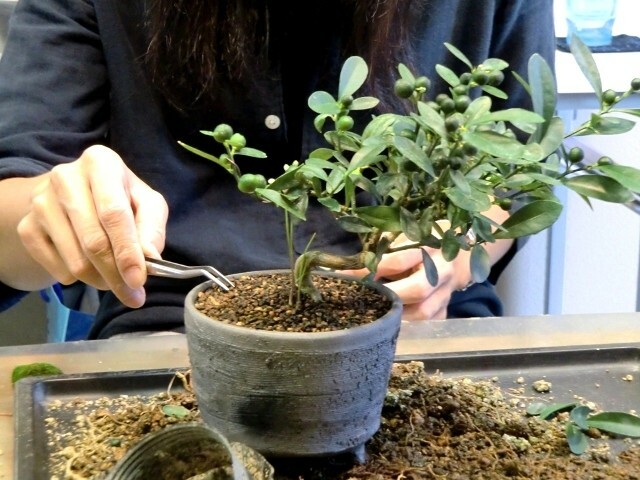 Because more than just a plant, a Bonsai is really a living work of art. 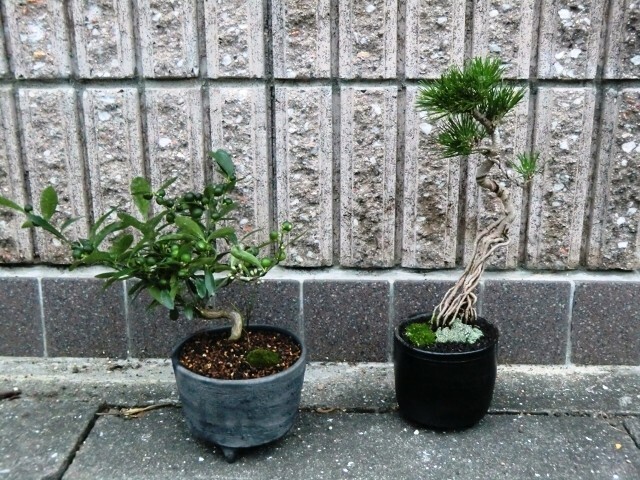 Choosing our trees: a pine-tree (Matsu, 松) for me, an orange tree (Kinzō, きんぞう) for 康代. Xavier gives us some advice. I know how to be an attentive student when needed. 康代 puts the final touches to her tree. Thank you again Xavier for this wonderful afternoon with you and all of those precious teachings. If you are in the area and care about Bonsai (or just want to learn about them) I warmly advise you to pay him a visit, you won’t regret it. 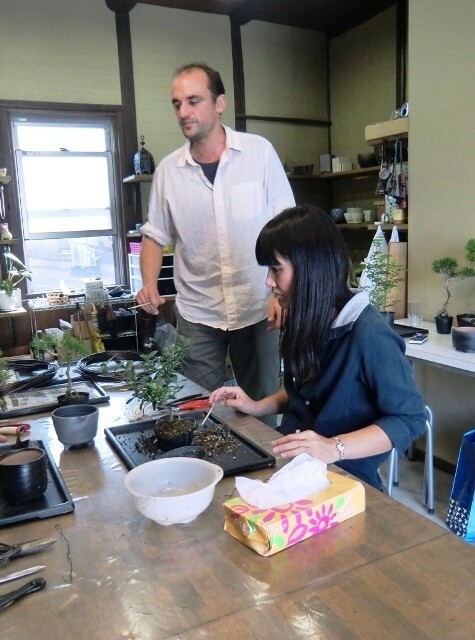 He will teach you the basics about Bonsai in a nice and friendly way, and if you already know these, I’m sure you’ll be able to do even more interesting things together. 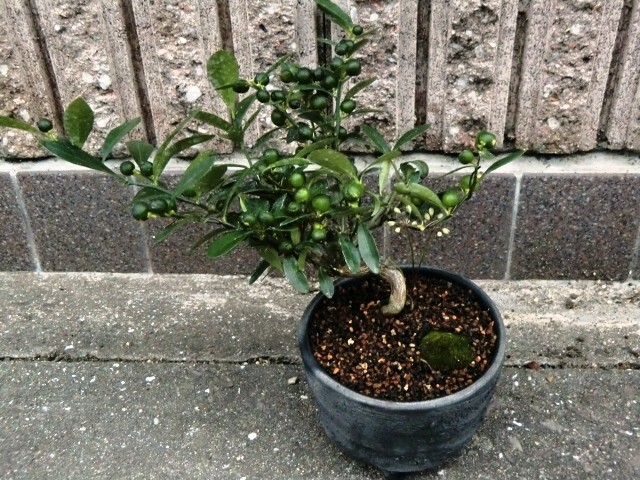 And not only you can leave with the fruits of your work, but you can also just go shopping for Bonsai in his nursery. 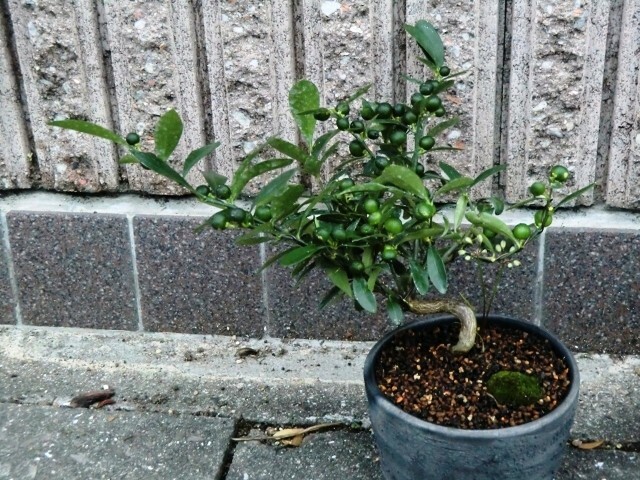 You can find traditional Bonsai, less traditional ones, as well as Kokedama. You’ll find more info about Midori Design on its blog and its Facebook Page. 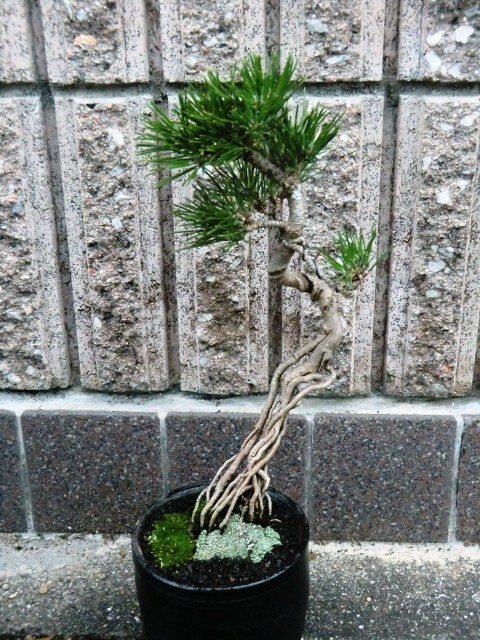 I’ll end this post by telling you that if you like Bonsai and are (or have the opportunity to be) in Takamatsu next year, the 11th Asia-Pacific Bonsai and Suiseki Convention & Exhibition will be held there in November 2011. I’d like to help you with that, but as you may have read in the post, that was my first (and so far only) lesson in how to make a Bonsai. In other words, I’m totally unable to teach anything as far as Bonsai go. 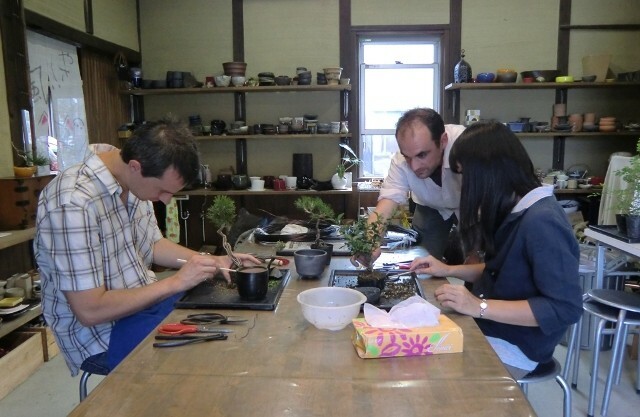 Also, I’m not exactly sure learning how to make Bonsai can be done online, I mean, there must be websites out there that explain the basics, but in the end, the only way to learn this is by doing it. What I can advise you is to find a good book (or good website), get a cheap Bonsai, and go for it. This is what I’m doing these days. Thats a great way to start, I would advise anyone interested in bonsai to search for local clubs who offer classes and workshops. There is a lot of great info out there but nothing beats getting your hands dirty! Local clubs (or people who know they well) are indeed the best option.